Special design for outdoor. With a hook + Carabiner, you can freely attach it to your backpack in camping, and it will recharge itself under direct sunshine for emergency. 5V/1A and 5V/2.1A USB ports for iPhone/iPad/Tablets/Android and other electronic devices. Allow you to charge two devices at the same time, the solar charger provides great convenience with you and your friends who needs charging services. 4 LED indicators show the control power at any time. Waterproof, dust-proof and shock-resistant, ideal for outside use. Zonhood offers 18 months warranty and friendly customer service within 24 hours. 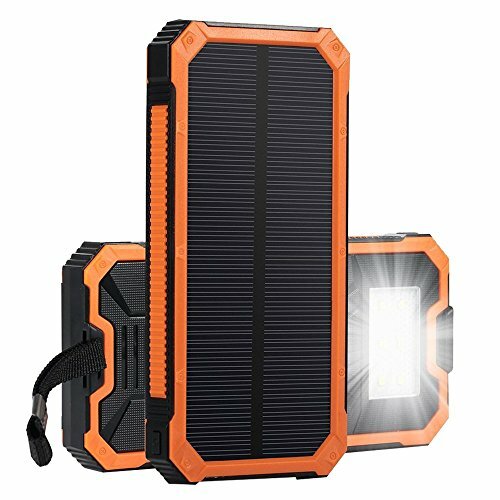 【WHAT YOU GET】Zonhood 15000mAh Portable Solar Charger, Micro USB Cable, User Manual, Carabiner; 18 months warranty and friendly customer service within 24 hours. If you have any questions about this product by Zonhood, contact us by completing and submitting the form below. If you are looking for a specif part number, please include it with your message.